ooohhh yeeahh… let’s do it!! Good afternoon my fellow traders. I’m a CFA trading Equity, Commodities, and currency for the last 11 years. I have a very HIGH RISK money management style of wagering, with scalping as my primary manner of increasing my accounts. Why a High Risk money management? Well, because I believe I have found a sweet spot in the market. So much so that my avg R:R is 1:6. Yes 1:6 My avg hold time is 6 mins. I would be willing to share my very bias scalping knowledge as long as those who contribute are willing to accept my HIGH RISK form of wagering. As we begin to learn this system you will begin to see how Binary options, and martingale wagering adds a safety net which most systems lack. Once we have at least 5 followers, I will begin to start the lessons. Note that when using the Martingale method one needs to Double + 50% else you dont win back your losing investments fully when the wining option ‘goes green’. not a big fans of scalping and martingale strategy, but this is really interesting. hope i can pick up something here. thanks for sharing! I think your view on martingale will change once we begin to understand the actual system. Yes for binary it is EXCELLENT, especially considering the fact that your losing streaks aren’t long. Have a look at this video which I created several years back which shows you my binary trades 1 by 1. Well, the account doesn’t really have to be huge. I think if you have 100 usd you could start off well. Especially if you have a very tight sl as which we have in this system. Assuming you don’t lose more then 4 times in a row 100usd would be enough for you to start off with a .05 order only to finish with a .4 lot size order which would require 80usd to open if your using moderately high leverage. I’m also in. Kind regards. Why do you not like binaries? I personally have no issues with it especially since I have been able to withdraw from it. Hi, do you still trade binary options? have you improved your method? because the video shows winnings in 2012. Hello sir. In fact I do still trade binary options, with the very same broker. As mentioned in the earlier posting of this thread, I use binary options to cover my big wagers. Usually the touch/no touch option. 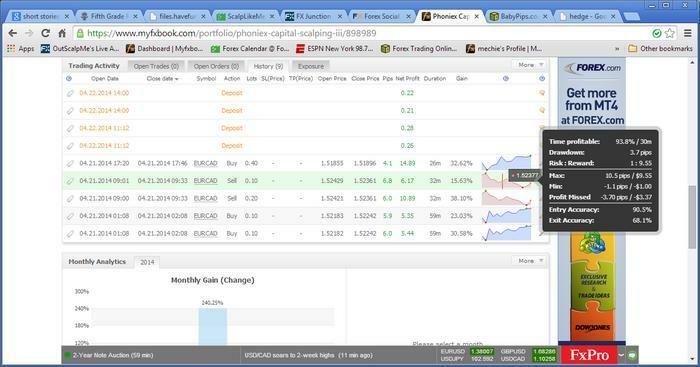 Using binary options as “protection” allows me to have net profit (although small) should I lose on my mt4 orders. Hi Master. Thanks for the good work. in the second video you began taking positions right after the acumulation was confirmed (the blue line crosses two times downwards), but you did not wait for the fibs extensions(1.236 and -0.236) to be crossed. In the first video you say we shouldn’t enter any order before the fibs extensions are crossed. Did I misundertand something there?